This Friday at 4 pm, Coney Island artist and rogue taxidermist Takeshi Yamada is giving his annual art talk at the Brooklyn Public Library’s Coney Island branch. 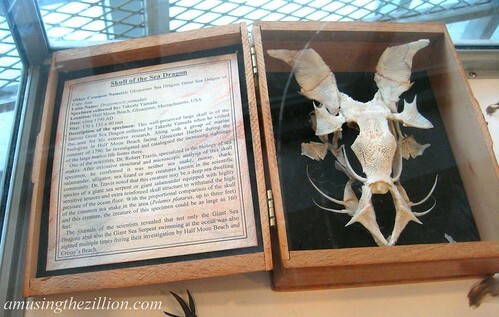 Titled “Dragons and Mermaids: Coney Island Sideshow Special,” the free show-and-tell will feature rogue taxidermy specimens of dragons and mermaids created by the artist for his Museum of World Wonders. 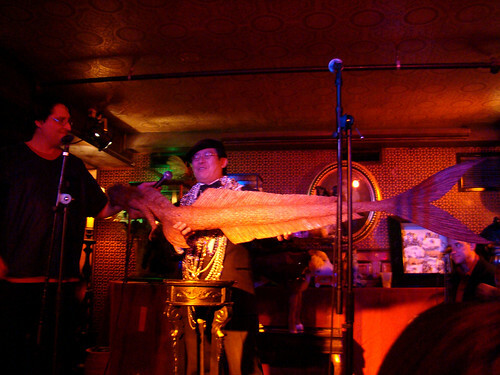 You’ll get to meet the six-foot-long mermaid pictured below at Secret Science’s Carnivorous Nights Taxidermy Contest. The Japanese-born artist and Neptune Avenue resident is one of Coney Island’s most recognizable eccentrics. In the summer, you’re apt to find Yamada clad in a black tuxedo and Mardi Gras beads strolling the Beach and Boardwalk with his taxidermied sea bunny Seara. If you haven’t seen Yamada’s long-running “Museum of World Wonders: Cabinet of Curiosities” yet, the exhibition is on view through Dec. 31 at the Coney Island Library. –“Dragons and Mermaids: Coney Island Sideshow Special,” Art Lecture by Takeshi Yamada, October 29, Friday, 4 – 5pm, FREE. The library is a five-minute walk from the Stillwell Avenue subway terminal. –“Museum of World Wonders: Cabinet of Curiosities,” Coney Island Library, 1901 Mermaid Ave (at W 19th St), Coney Island, Brooklyn, 718-265-3220. Through December 31, 2010, FREE. Check library hours here.